SHIPPING INFO: Attention Winter Shoppers: Orders ship within 2-7 days. Choose a ship date up to 3 months in the future at checkout. Let me know when it's back in stock! Please enter your name, email, and location below. Note: For our customers who live and garden north of USDA Plant Hardiness Zone 6a, where this Encore Azalea variety is not reliably winter hardy outdoors, you can enjoy it in containers that can be moved indoors during winter and placed back outside when temperatures warm up in spring. 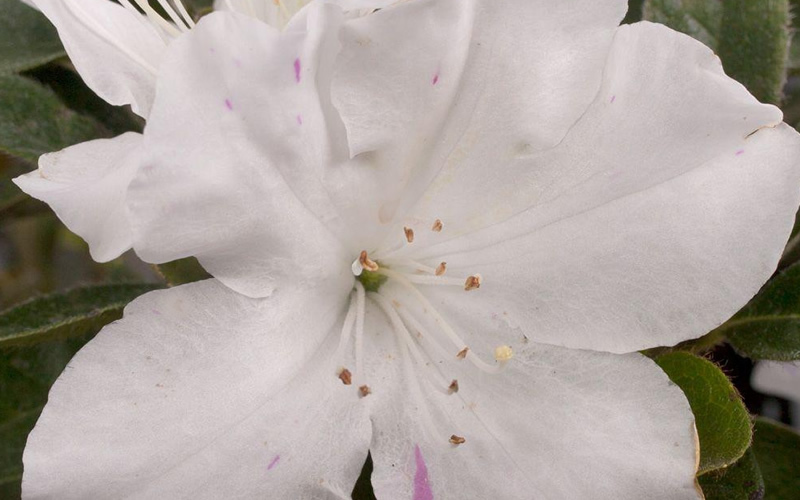 In 1998, the release of the first reblooming Encore Azalea changed the Azalea world forever. Since then, over 30 Encore varieties have been released. When provided enough sunlight (6 or more hours per day) all varieties bloom in spring and then repeat summer into fall. 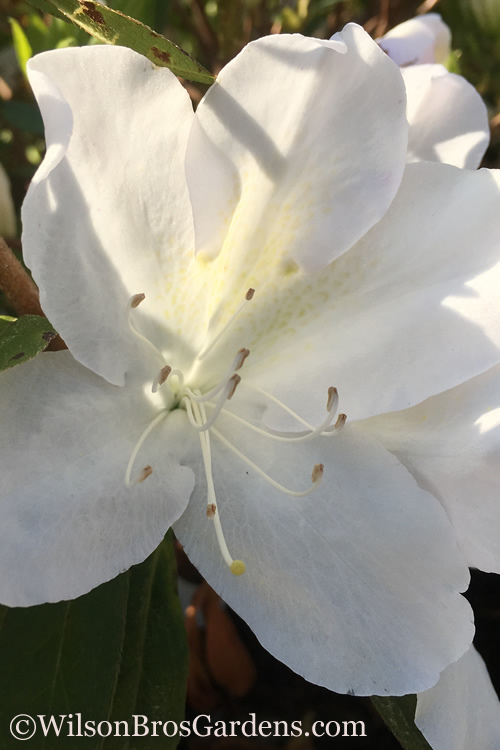 Autumn Lily Encore Azalea produces loads of very large, 3 inch diameter beautiful white blooms in spring, summer, and fall against a backdrop of deep green foliage on strong, upright plants. 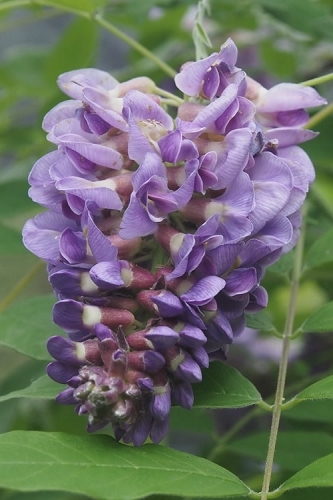 The flowers sometimes have occasional purple spots and stripes. Butterflies love the flowers and blooming branches can be cut for use to create stunning indoor floral arrangements. Growing to 4-5 feet tall and 4 feet wide, Autumn Lily Encore Azalea is a perfect choice for groupings, mass plantings, low hedges or an accent in landscape borders and home foundation plantings. It is also a fine selection for growing in containers and pots, which can be strategically placed to dress up decks, patios, porches, and other outdoor living spaces. Because they like sun to part shade, Encores do quite well under tall trees and in woodland borders. Note: For our customers who live and garden north of USDA Plant Hardiness Zone 6a, where this Encore Azalea variety is not winter hardy outdoors, you can enjoy it in containers that can be moved indoors during winter and placed back outside when temperatures warm up in spring. We've been growing Encore Azaleas in our gardens since they were first released in the 1990's and can say with confidence that when planted right, and in the right spot, Encore Azaleas are among the easiest azaleas easy to grow. 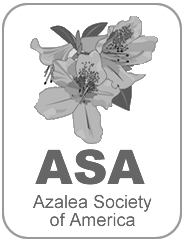 Soil: When planted in the ground, Encore Azaleas adapt well to most soil types. 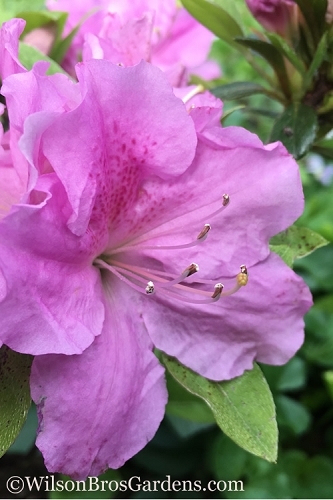 In general, like all other azaleas, the Encores prefer an organically rich, moist but well-drained acidic soil. 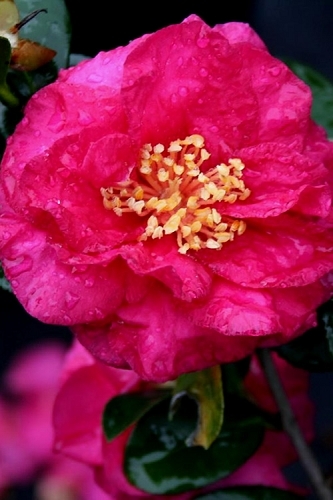 Constantly soggy or wet soil is problematic for azaleas. Heavy clay, quick-draining sand, or otherwise poor soils are best amended with organic matter or other soil amendments to provide sufficient nutrients, better soil drainage, and/or moisture retention. In containers, a 50/50 blend of professional potting mix and potting soil is suggested. Make sure the pot has a hole(s) in the bottom that allow for sufficient drainage. As mentioned above, Encore Azaleas do not like a constantly soggy soil. Sun: Encore Azaleas will grow in sun or part shade. For best flowering and reblooming, we recommend at least 4 hours or more of direct sunlight per day. All-day lightly filtered sun, such as under tall trees, is okay. 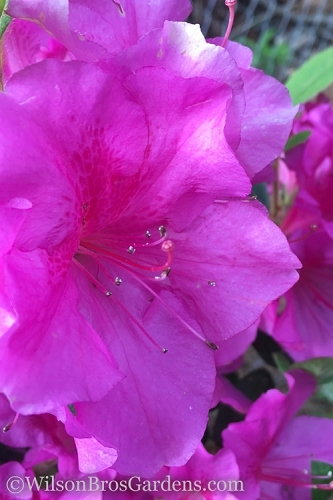 In regions that experience very hot summers with intense sunlight, Encore Azaleas might appreciate a break from direct sun during the mid afternoon hours. Founded in 1989 by master nurserymen and twin brothers Brooks and Brent Wilson, Wilson Bros Gardens brings you awesome every day! It is our goal to blow you away with a great selection of the most exciting new and old-favorite plants and trees, and with all the information you need to grow them like the pros! When you buy plants online from Wilson Bros Gardens, you can expect to receive high-quality nursery and garden center grade plants that are fully-rooted in their containers or pots and ready upon arrival to plant and thrive for years to come in your gardens - Guaranteed! Not only have we built our reputation on shipping the highest quality plants, we take great care to gently pack and secure every plant we ship using the highest level of packaging products and methods available to ensure your plants arrive safely and in good condition - Guaranteed! Our number one goal is your success! To ensure you'll be planting and growing the plants you purchase from us like the pros, under the PLANTING and CARE tabs on every plant page in Wilson Bros Gardens you'll find detailed descriptions and planting and care instructions provided by our horticultural experts. You'll also find hundreds of helpful articles in our on-site Blog. Ask Our Experts - You can also pick our experts brains by asking any questions you might have about any plant or product on the website. When on a plant or product page, just click on the 'Questions about this item?' link located just to the right of the main picture on the page and ask away! Of course, you're also welcome to contact us by phone or email with any questions you might have. We're at your service! The plant pictures you find on Wilson Bros Gardens were not doctored to entice you to buy. What you see is what you get. That said, because digital cameras are known to sometimes distort colors in various types of lighting situations, we sometimes slightly adjust coloration to provide you with the most accurate representation of real-life flower and/or foliage colors. Bottom line, we want you to get exactly what you paid for - Guaranteed! If in the rare event the plants or products you purchased from us were damaged during transit, or if you are not satisfied with the quality of the plants, please call or contact us within 24 hours upon having received your order and we'll be happy to replace the plants, refund your order, or do whatever is necessary to make you a happy, satisfied customer. We aim to please - Guaranteed! Rest assured we take the utmost care! At Wilson Bros Gardens, not only have we built our reputation on shipping the highest quality plants and other products, we gently pack every plant using the highest level of packaging products and methods to ensure your plants arrive safely and in good condition - Guaranteed! Each plant is placed into specialized boxes to ensure they are not crushed or toppled over during shipping. Moisture level and water are checked to ensure your plant(s) arrive in good condition and are ready to plant! Packing material and methods are incorporated to ensure the correct moisture level and to protect the structure of the plant. When your order has been packaged it is shipped via FedEx or UPS special priority to ensure an on time delivery and a healthy plant. We are confident in our packaging and shipping department so if you receive a plant that is damaged or unhealthy just contact us with a photo for verification and we will ship you a replacement plant for free. We use the highest level and quality of packaging methods. We spend twice as much as the average online plant store on quality shipping materials. Your total satisfaction is important to us. Rest assured - We Guarantee It! To use the map, find your location to see what color region it is in and then find the number that corresponds to the color of that zone. This will be your USDA Zone. * For more information about USDA Zones look below the map. 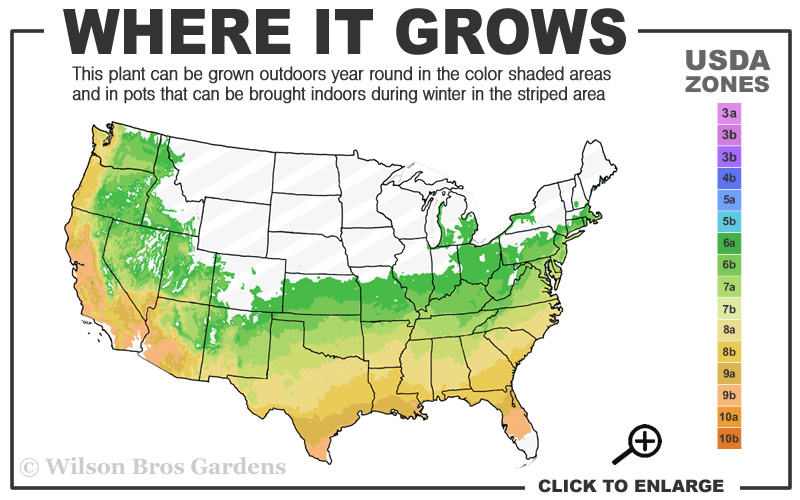 * The USDA Plant Hardiness Zone Map was created so that gardeners, growers and landscapers have a way to compare the average lowest temperature in their area with the average lowest temperature that a specific plant will survive without damage. Every type of plant has a low temperature threshold. Before purchasing plants to grow in your landscape or gardens, make sure it is one that will most likely survive the average low temperature in your zone. Zone 1 has a low temperature of below -50 Fahrenheit and below -45.6 Celsius, covering interior areas of Alaska, Resolute, Northwest Territories of Canada, northernmost tip of China. Zone 2a has a low temperature of -50 to -45 Fahrenheit and -42.8 to -45.5 Celsius, spanning from interior areas of Alaska, northern regions of Canada (Manitoba), and northernmost isolated parts of China. Zone 2b has a low temperature of -45 to -40 Fahrenheit and -40 to -42.7 Celsius, spanning from interior areas of Alaska (Unalakleet), the northernmost tip of Minnesota, middle regions of Canada, and northernmost regions of China. Zone 3a has a low temperature of -40 to -35 Fahrenheit and -37.3 to -39.9 Celsius, spanning from northernmost regions of Minnesota (International Falls), interior and northern coastal areas of Alaska (St. Michael), southern regions of Canada, northern regions of Europe, northern regions of China, and central regions of northern Japan. Zone 3b has a low temperature of -35 to -30 Fahrenheit and -34.5 to -37.2 Celsius, spanning from northernmost regions of the US, interior and northern coastal areas of Alaska, southern regions of Canada, northern areas of Europe, some central and northern interior regions of China, and interior regions of northern Japan. Zone 4a has a low temperature of -30 to -25 Fahrenheit and -31.7 to -34.4 Celsius, spanning from northern regions in the Midwest and northeast US, western coastal areas of Alaska, coastal regions of eastern Canada, northern areas of Europe, some central and northern interior regions of China, isolated areas of South America, and northern regions of Japan. Zone 4b has a low temperature of -25 to -20 Fahrenheit and -28.9 to -31.6 Celsius, spanning from centrally located regions in the Midwest and northeast US, southern coastal areas of Alaska, coastal regions of eastern Canada, northern regions of Europe, some central and northern interior regions of China, southern regions of interior South America, and coastal regions of northern and interior regions of southern Japan. Zone 5a has a low temperature of -20 to -15 Fahrenheit and -26.2 to -28.8 Celsius, spanning from central regions in the Midwest and lower regions of the northeast US, southern coastal areas of Alaska, coastal regions of western Canada, central interior regions of Europe, central and northern interior regions of China, southern interior regions of South America, and coastal regions of northern and interior regions of southern Japan. Zone 5b has a low temperature of -15 to -10 Fahrenheit and -23.4 to -26.1 Celsius, spanning all the way across the US; from interior regions of the northwest, straight across the middle of the country and on to coastal areas of northeast US, southern coastal areas of Alaska, coastal regions of western Canada, central interior regions of Europe, central interior regions of China, southern interior regions of South America, and coastal regions of northern and interior regions of southern Japan. Zone 6a has a low temperature of -10 to -5 Fahrenheit and -20.6 to -23.3 Celsius, spanning all the way across the US; from interior regions of the northwest to straight through the mid-US (St. Louis, Missouri) to southern Pennsylvania, southern coastal areas of Alaska, coastal regions of western Canada, central interior regions of Europe, central interior regions of China, southern regions of South America, and coastal regions of northern and interior regions of southern Japan. Zone 6b has a low temperature of -5 to 0 Fahrenheit and -17.8 to -20.5 Celsius, spanning all the way across the US; from interior regions of the northwest across to northernmost areas of Tennessee on to the mid Atlantic coast, coastal regions of western Canada, central interior regions of Europe, central interior regions of China, southern regions of South America, and coastal regions of northern and central interior regions of southern Japan. Zone 7a has a low temperature of 0 to 5 Fahrenheit and -15 to -17.7 Celsius, spanning all the way across the US; from northeast California across southern Oklahoma to up through the Appalachian Mountains to the mid Atlantic coast, coastal regions of western Canada, central interior regions of China, central interior regions of Europe, coastal regions of northern and central interior regions of southern Japan, and northern and southern interior regions of Africa. Zone 7b has a low temperature of 5 to 10 Fahrenheit and -12.3 to -14.9 Celsius, spanning all the way across the US; from eastern California through southern New Mexico and central Texas, across the northern parts of Georgia and the Carolinas to the mid Atlantic coast, coastal regions of western Canada, central interior regions of Europe, central interior regions of China, coastal regions of northern and areas just inland in southern Japan, southern interior regions of South America, and northern and southern interior regions of Africa. Zone 8a has a low temperature of 10 to 15 Fahrenheit and -9.5 to -12 Celsius, spanning all the way across the US; from coastal areas of the northwest and California through central Arizona and Texas, across the southern halves and coasts of Mississippi, Alabama, Georgia and the Carolinas, central interior regions of Europe, central interior regions of China, coastal regions of southern Japan, southern interior regions of South America, and northern and southern interior regions of Africa. Zone 8b has a low temperature of 15 to 20 Fahrenheit and -6.7 to -9.4 Celsius, spanning all the way across the US; from coastal areas of the northwest and California through central Arizona and southern Texas, to across south Georgia and north Florida, the southern interior region of southeast Australia, southern interior regions of Europe, central interior regions of China, coastal and areas just inland in southern Japan, and northern and southern interior regions of Africa. Zone 9a has a low temperature of 20 to 25 Fahrenheit and -3.9 to -6.6 Celsius, covers areas of inland California and the Desert Southwest, southern Texas, and central Florida, southern regions of China, southern regions of Australia, coastal areas of southern Japan, and central regions to both the north and south of Africa. Zone 9b has a low temperature of 25 to 30 Fahrenheit and -1.2 to -3.8 Celsius, covers interior regions of California and the Desert Southwest, southernmost Texas, and central Florida, southern regions of China, southern regions of Europe, a band that crosses the middle of Australia, coastal areas of southern Japan, and regions of southern Mexico and South America. Zone 10a has a low temperature of 30 to 35 Fahrenheit and 1.6 to -1.1 Celsius, and covers areas of southernmost California and south Florida, southern regions of China, northern and southern coastal regions of Australia, southernmost coastal regions of Europe, interior and coastal regions of South America, and central and northern coastal regions of Africa. Zone 10b has a low temperature of 35 to 40 Fahrenheit and 4.4 to 1.7 Celsius, covers areas of south Florida (Miami), southern most coastal regions of Europe (Portugal, Spain, and Italy), southernmost regions of China, northern regions of Australia, central regions of South and Central America, and interior and coastal regions of Africa. Zone 11 has a low temperature of above 40 Fahrenheit and above 4.5 Celsius, covers Hawaii (Honolulu), Southern Mexico, the Florida Keys, the northern most region of Australia, southernmost regions of China, northern regions of South America, coastal regions of Central America, and central interior and coastal areas of Africa. Click on a link below to find helpful advice from our experts on how to plant and care for Encore Azaleas. Sign Up For Exclusive E-mail Offers! Copyright Wilson Bros Gardens. All Rights Reserved. eCommerce Software by 3dcart.